OG Kush from Dinafem are feminised cannabis seeds that are originated by crossing the Lemon Thai x Pakistan x ChemDawg. This has resulted in a cannabis plant that contains mainly Indica genetics. 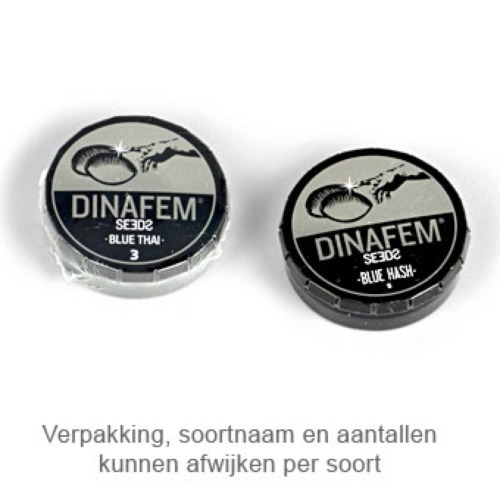 Dinafem OG Kush are cannabis seeds that are appropriate for an indoor grow and outdoor grow. She flowers shortly whereby you can harvest her quickly. She produces nice compact tops that are covered with crystals. Growing cannabis from these feminised cannabis seeds provide you a nice result from qualitative good weed. The effect of smoking this strain is a prolonged mental high in combination with a delicious physical relaxed feeling. The smell and taste are very intense but very nice with elements of lemon. Tell us and our customers what you think of the OG Kush from Dinafem.